A battle between state and local licensing authorities over the legality of poker rooms in Oregon has taken center stage in a battle by the state to close the largest single room in the state. In late May, in an ongoing scrum between the Oregon Lottery and Portland Meadows, a pari-mutuel facility that also offers video-lottery terminals, the Oregon Lottery upheld its own previous ruling that the live poker being offered at the track is illegal. In doing so, the Oregon Lottery revoked Portland Meadows’ VLT license to offer any lottery-associated products. The clampdown aimed at Portland Meadows is the latest development in the battle between Oregon’s state-level authorities and local jurisdictions such as Portland that license poker rooms under municipal laws. 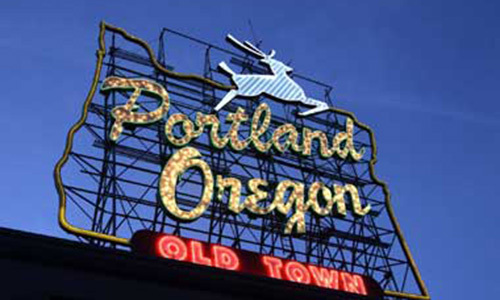 As we reported last year, Portland has seen dozens of small poker rooms open as “private clubs” in the last few years, and the state has been trying to find a path to shut down the activity that’s purportedly illegal under state law. That’s included an attempt to pass new legislation that would strictly and specifically ban the poker rooms, superceding approvals at the municipal level, though such a measure in Oregon has yet to pass into law. The battle involving Portland Meadows’ poker offerings takes a different path. Most of the admission-charging private clubs serving up poker games offer only poker and no othr forms of gambling. (At least on the surface, private clubs and bars and the like being what they are.) Portland Meadows differs in that it added a poker room to its other gambling offerings, including the Oregon Lottery-licensed terminals. This gave the lottery officials a chance to put the hammer down. Working with the Oregon State Police, undercover investigators were sent to the racetrack to gather evidence on how the games were run. They found that two alleged violations of state gambling law existed: First, Portland Meadows was charging an admission fee (think of this as a form of rake) to get in the door and participate in the games. Second, the investigators also found the track serving as the bank for the games, selling and cashing out the chips being used in the games. Highly similar language was offered in the determination on the banking question, involving the sale and cashout of poker chips. Yes, according to the upheld ruling, it constitutes illegal gambling as well. It all means that Portland Meadows stands to lose out on $350,000 or more in annual commissions from the sale of lottery tickets. That’s what the track earned in 2016 from its sale of about $1.83 million worth of tickets via the tracks 10 VLTs. There is of couse a larger battle being fought; the Oregon Lottery and other state gaming officials have no intention of letting any entity profit from the supposedly illegal club-poker games while also profiting from the state’s official lottery mechanism. Even though the racetrack plans to appeal, this is likely to remain an either/or choice for Portland Meadows. They can have the lottery terminals or the poker games, but they can’t have both.